So I found out Ida Noe is actually the talented Delilah Smith. 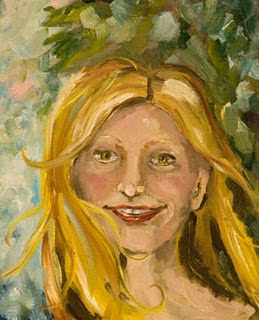 you can find out more about Delilah and this painting HERE. different strokes from different folks. Ida Noe who either--was hoping you could tell me. Each artist was sent a picture of another "mystery" artist to paint. For more information on Akita rescue please click here.